there are over 100 faces on the two fences. it has been for the love of the dog and cat and to promote awareness to their importance. ( the mission of Citizen Canine Companion). it is doing that every day people walk by. Fur Faces on Fences is a project of Citizen Canine Companion. Dogs of 6th and Devoy and Friends was the first fence. 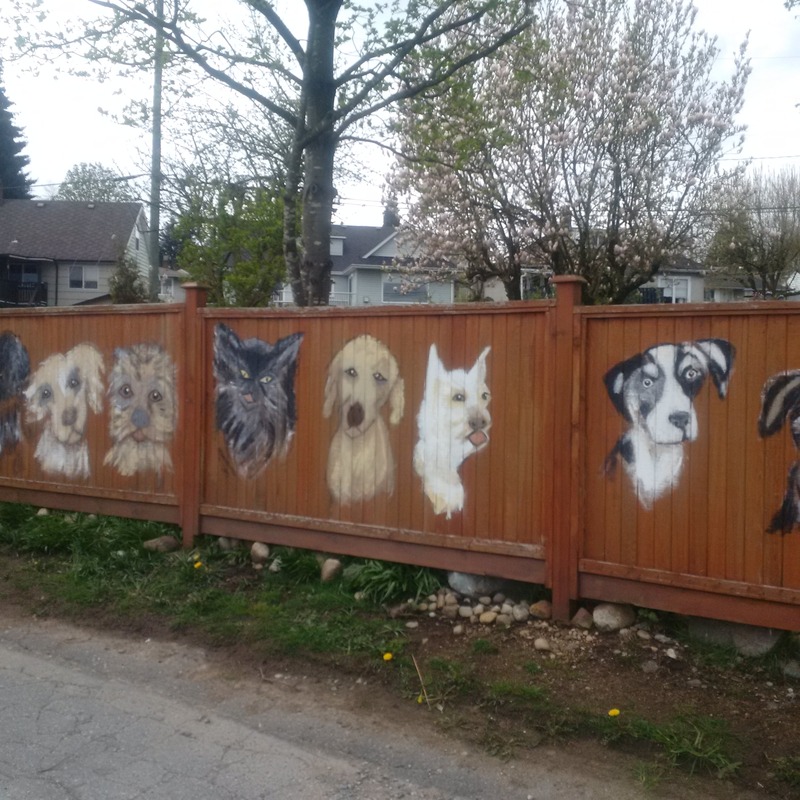 The completed fence has more than 40 dog and cat faces painted on it. it raised $1500 for BC and Alberta Guide Dogs and dogs for Autism support. The second fence is Cherry Lane Canines and Cats, at 805 Cherry St in New Westminster. So far it has raised $1,000. for BC and Alberta Guide Dogs. There is room for lots more dog and cat faces on the fence. you can have yours painted there for minimum $100. Help me reach my target of $5,000. so that I can name a puppy after my late father Herbert (Bert). Would you like your dog in this mural? 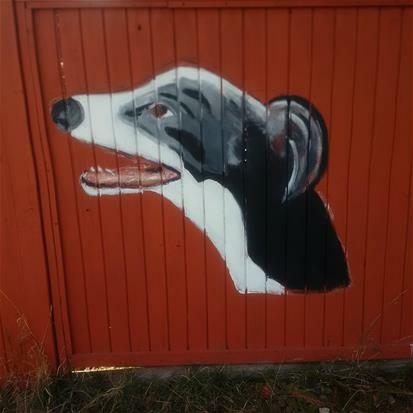 If you live on 6th or Devoy or anywhere in the surrounding area, please send your favourite photo of your dog for entry so your dog can have a place on the fence. The plan is to have one to three dogs on each panel. The entrance fee is $50 per dog (or a donation of any amount) to help cover cost of materials. Donations of any amount can also be made as the net profits will be donated to local dog charities. When I create a painting of a pet I often work from photographs of the animal. Click the book cover to read excerpts from the novel Deception Among Friends.